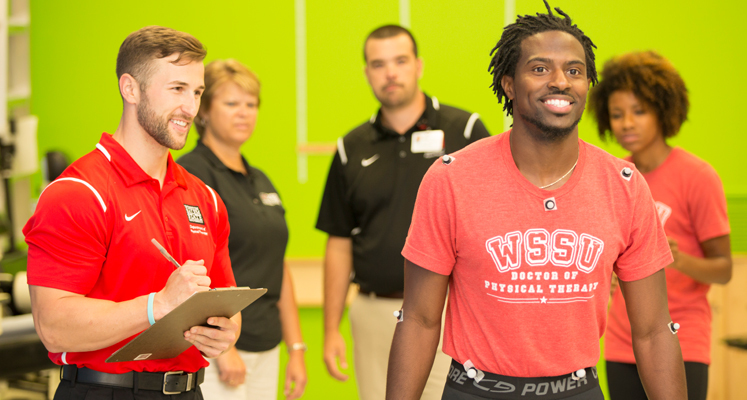 WSSU's Department of Physical Therapy provides an integrative education program that is well-grounded in the basic, social and clinical sciences. The program produces competent and compassionate clinicians who are skilled in the areas of critical thinking and inquiry, clinical problem-solving, research, education, management and treatment delivery to address health disparities. The faculty provide students with the educational and experiential foundation to practice physical therapy and instill within them the values of integrity, dedication, responsibility, leadership, accountability, wisdom, commitment to personal and professional growth, and willingness to serve a diverse society. Congratulations to the WSSU DPT Class of 2018 on attaining a 100% pass rate on their state licensure exam! A special congratulations to Jane Kovalenko, who had a perfect score!! Winston-Salem State University and Novant Health Systems would like to announce the opening of the application period for the WSSU-Novant Health Clinical Neurologic Residency Program. This 12-month neurologic residency is located in Winston-Salem, NC, and includes rotations through in-patient acute care, out-patient rehab, and in-patient rehab settings. Click here for the application portal in RF-PTCAS, which will be open from February 21 - April 15, 2019. For more information, please email Dr. Sara Migliarese, Program Director, at migliaresesj@wssu.edu. This innovative and unique program incorporates applied learning techniques across the curriculum using human patient simulation housed in a virtual hospital, I-PAD-based electronic learning technology, and student-directed community clinic learning labs supervised by program faculty. Students also have access to a state-of-the-art Human Movement and Biodynamics Lab. The Human Performance and Biodynamics Laboratory is a collaboration between Wake Forest University School of Medicine's Department of Orthopaedic Surgery and Winston-Salem State University's Department of Physical Therapy. Physical therapists, physicians, and biomedical engineers design and conduct research in movement science and mentor students in motion analysis. 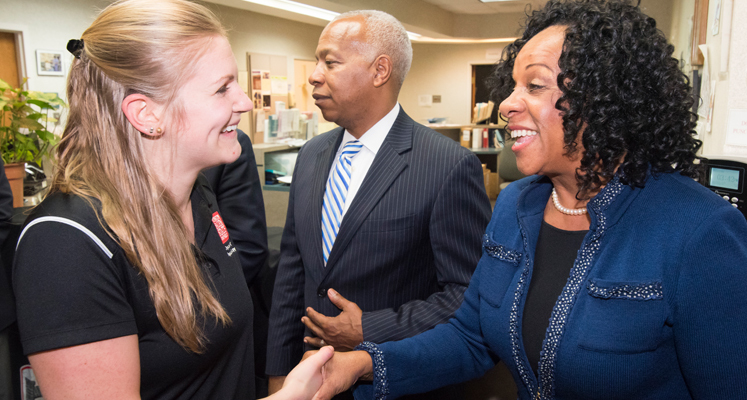 WSSU's Department of Physical Therapy initiated a free physical therapy clinic housed within the Community Care Center of Winston-Salem, which services the medically uninsured and underserved residents of Forsyth, Stokes and Davie counties of North Carolina. 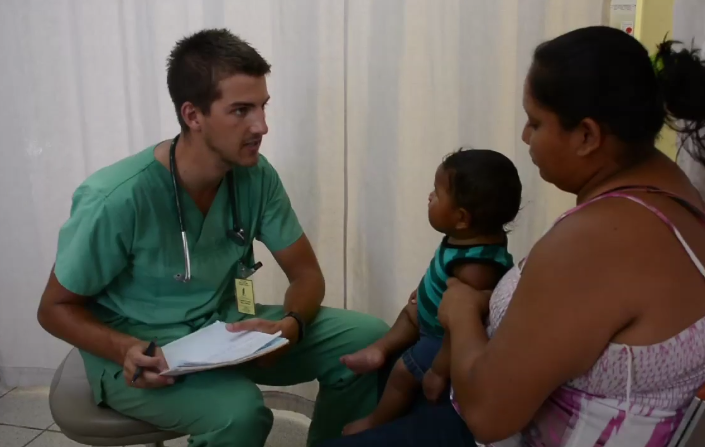 The Community Care Center is the largest free medical clinic in North Carolina. 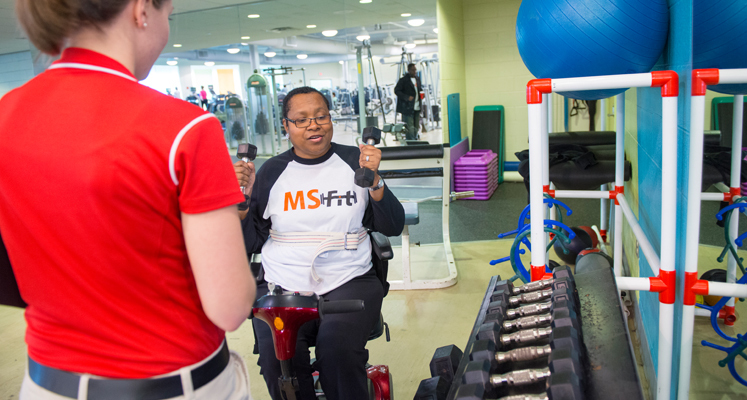 WSSU's Department of Physical Therapy is partnering with MSFit Foundation to provide graduate students with hands-on experience working with MSFit participants. DPT graduates embody the WSSU motto: "Enter to Learn, Depart to Serve." The program framework builds on the core values of the physical therapy profession: professionalism, ethics, social responsibility, cultural competency, and autonomous and evidence-based practice. The sixth value grows out of the historical mission of the university to address health disparities in minority groups. These core values are inculcated in students as they move from the classroom to the laboratory to the community and to the clinic. The CD Spangler Foundation awarded an initial $250,000 to the university, with the state matching, bringing a total of $500,000 to honor an outstanding innovator. A portion of these funds provides the salary for an endowed position- usually given to an individual who is a leader in their field, or provides a specialized function for the program that is not covered by state funds. On Friday, April 22nd, 2016, the WSSU DPT program was happy to honor the founder of the program, Dr. Eddie Harden, JD, PT as the name of the endowed chair position. The faculty of the Department of Physical Therapy is proud to continue Dr. Harden's legacy and vision. The Doctor of Physical Therapy program at Winston-Salem State University is accredited by the Commission on Accreditation in Physical Therapy Education (CAPTE), 1111 North Fairfax Street, Alexandria, Virginia 22314, 703-706-3245, accreditation@apta.org. If needing to contact The Doctor of Physical Therapy program at Winston-Salem State University directly, please call Dr. Lynn Millar, Chair of the Department, at (336) 750-2190 or email millaral@wssu.edu. The Department of Physical Therapy at Winston-Salem State University is committed to the timely payment of all accreditation fees and submission of required documentation to CAPTE. The departmental chair submits all required documentation by scheduled due dates to CAPTE and submits issued invoices in a timely manner to the university for payment. The university is responsible for payment of the required fee by the due date. Graduates of the program will be eligible to take the National Physical Therapy Examination (NPTE) developed and administered by The Federation of State Boards of Physical Therapy. Please note that a felony conviction may affect a graduate's ability to take the NPTE. Determination of eligibility to take the licensure exam is by the state board(s) of physical therapy examiners. Hillside is an opportunity that students can take during their final clinical rotations. Approximately three students per year take advantage of this opportunity, which counts towards their final clinical experience credits.